Cal is not the readin' type. Living way high up in the Appalachian Mountains, he'd rather help Pap plow or go out after wandering sheep than try some book learning. Nope. Cal does not want to sit stoney-still reading some chicken scratch. But that Book Woman keeps coming just the same. She comes in the rain. She comes in the snow. She comes right up the side of the mountain, and Cal knows that's not easy riding. And all just to lend his sister some books. Why, that woman must be plain foolish -- or is she braver than he ever thought? 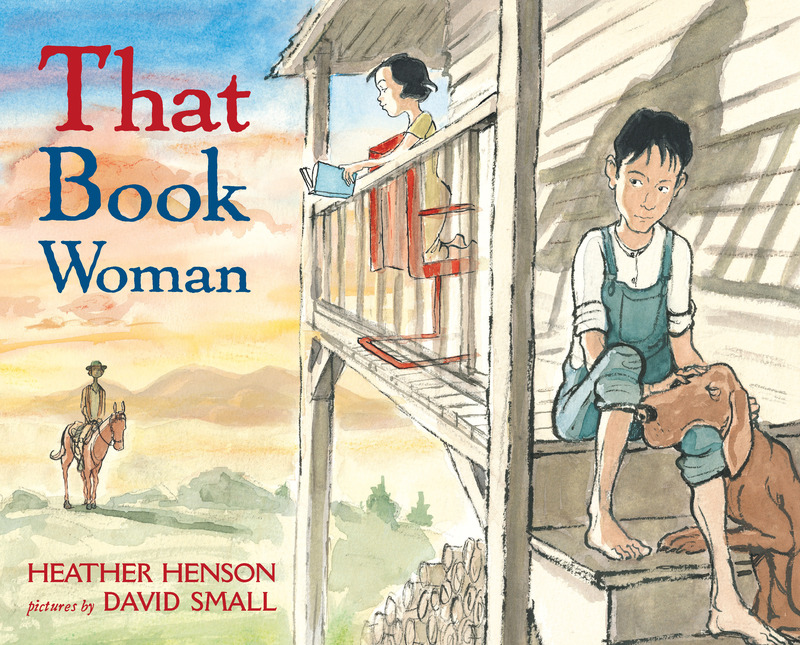 That Book Woman is a rare and moving tale that honors a special part of American history -- the Pack Horse Librarians, who helped untold numbers of children see the stories amid the chicken scratch, and thus made them into lifetime readers. High up on a mountain, right near the tippy-top, Cal and his family squeak out a living with their farm. There's no time for visiting or reading or learning, and that suits Cal just fine. But then a woman starts coming around with loads of books for borrowing, and Cal has to wonder if there's something to this reading after all. What does Cal think about school and learning? Does it help the family survive on their mountain? How does Cal feel when Lark reads or tries to teach others? Why is it so strange for the family to see a woman ride up with the books? Is there anything that would make a woman better for this job than a man? Why is Cal so angry when his father offers up the poke of berries in exchange for the books? Does he change his mind about giving the book woman something in exchange for her work? The book woman accepts very little from the people that she visits -- she won't take payment for the books or shelter from the storms. Why? Why do you think the families keep trying to give her things? What makes Cal decide to learn to read? Why would it have been hard for him to ask Lark to teach him? Describe how Cal's face looks in the beginning of the book, when he talks about reading, and when the book woman first starts coming around. Does the expression on his face change as the story continues? How? Why do you think we never see the book woman's face in any of the pictures? Does Cal talk like someone who never reads? Does he use fancy words or expressions? If his way of talking doesn't come from books, where does it come from? What kinds of things does Cal learn before he knows how to read? Where does he learn them? Is it important for Cal and his family to learn to read? What will it do for them? Working as a group, explore the history of libraries. Where was the first library? Are there other programs, like the Pack Horse Librarians, where books are brought to the people? In any community, there are people who like books and stories but don't have access to them. Find a nursing home, hospital, homeless shelter, or doctor's office that needs books, and collect donations for them. David Small's illustrations capture the feeling of living on a mountain and the love that the family members have for one another. Draw a picture of your home or family, and show what makes you special. The Pack Horse Librarians must have loved books a lot, if they were willing to dedicate their lives and put themselves in danger just to share them. Choose one or two of your favorite books and tell others what they are about and why you like them. Cal and his family live in the Appalachian Mountains. Look up some facts about this unique region and the problems that its people have faced over the years. 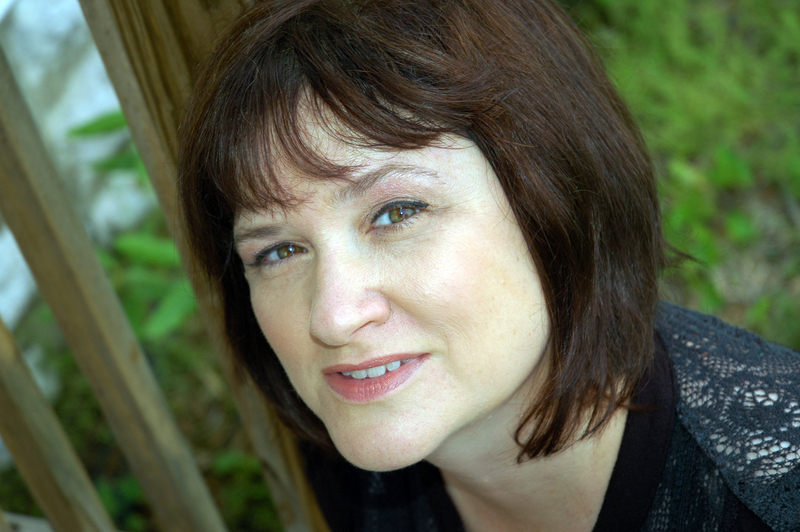 HEATHER HENSON is the author of Making the Run and Angel Coming. A former editor, she resides in Kentucky. DAVID SMALL was awarded a Caldecott Medal for So You Want to Be President? and the Caldecott Honor for The Gardener. He has illustrated many other books, including When Dinosaurs Came with Everything and The Underneath. He lives in Mendon, Michigan.